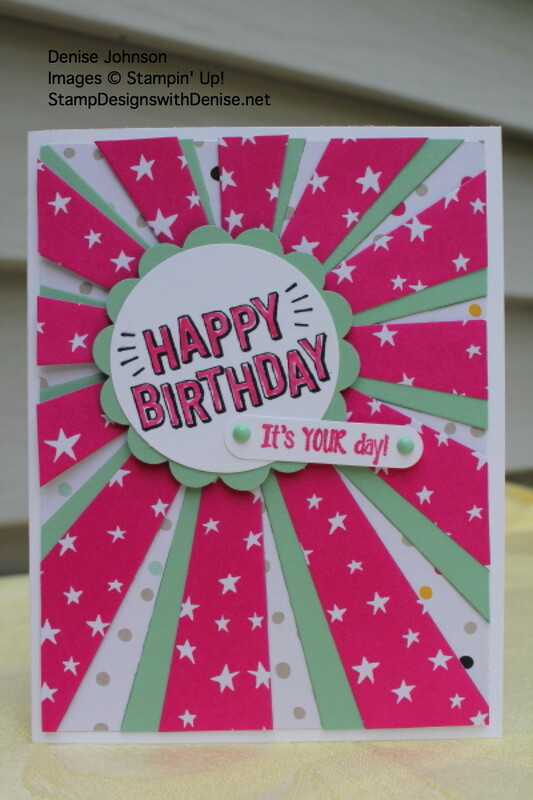 I love how easy the Sunburst Thinlit is to use to make cards with a visual punch. It’s My Party Designer Series Paper is a perfect celebration paper to use as well. 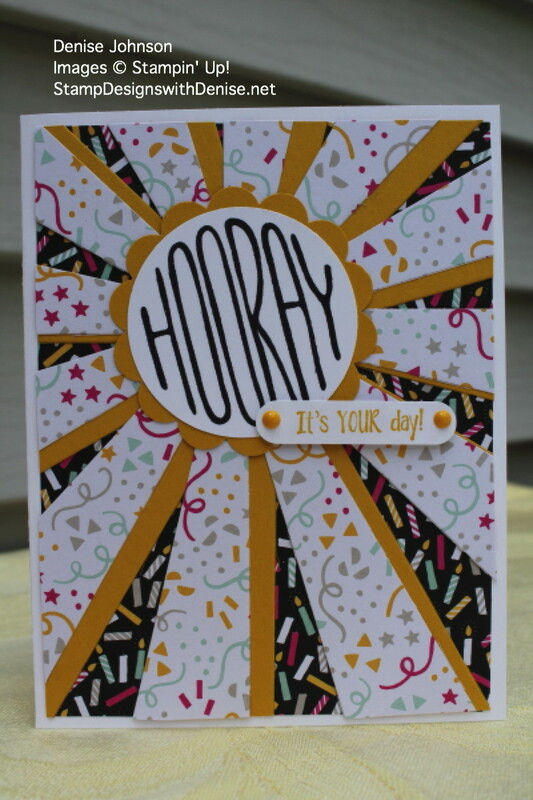 Using Big Shot, cut out sunburst in a patterned paper and a solid color card stock. Attach top patterned paper to solid card stock at a slight angle so you can see the bottom paper. Lay on top of the patterned mat paper. The edges will over hang. Flip over and using scissors cut over hang to fit mat. Attach to card base. Stamp sentiment from Confetti Celebration on White card stock using Basic Black ink. Punch out using 2” circle punch. Punch out coordinating card stock with the 2 3/8” scallop circle punch. Layer together and attach to center of sunburst. Stamp additional sentiment on white card stock using a coordinating ink color. Punch out with the Word window punch. Attach to card. Attach It’s My Party enamel dots.